UFC 226 popped off tonight (Saturday, July 7, 2018) from the T-Mobile Arena in Las Vegas, Nevada. The main event was a massive superfight between heavyweight champ Stipe Miocic and light heavyweight king Daniel Cormier. DC won by shocking first-round knockout, a short right hook off a clinch break sending the champion to the mat. 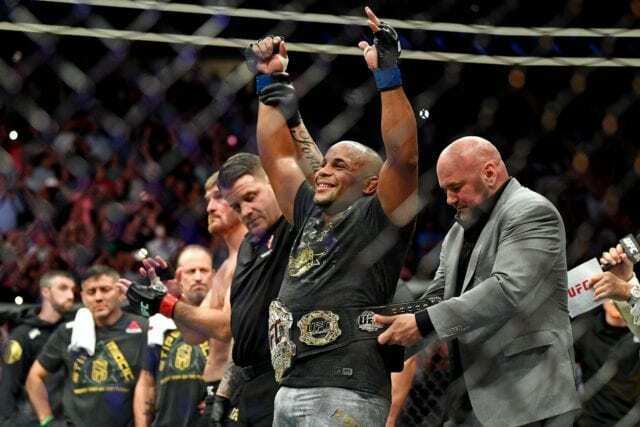 Three coffin-nail punches made Cormier the second simultaneous two-division champion in history. The co-headliner was another big heavyweight battle, this between Francis Ngannou and Derrick Lewis. Unfortunately, this fight will go down in history as one of the most disappointing and boring of all time, as the big men were extremely reluctant to engage throughout. Lewis did a little bit more – Ngannou did virtually nothing – and he was awarded a unanimous decision in one of the worst fights in memory. 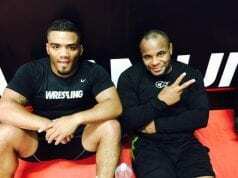 DADDEST MAN AND BADDEST MAN, DANIEL CORMIER! Cormier vs. Brock Lesnar at MSG? Daniel Cormier just established himself as the second greatest fighter in MMA history. Congratulations @dc_mma that was bananas! Francis Ngannou looks like he should be cast as the villain in the next Black Panther film. Wow. Two of the traditionally most exciting fighters in the UFC, Lewis and Ngannou, both just got warned for timidity by Herb Dean. At least @joerogan isn’t holding back. Being brutally honest. Love the honesty. He is the ? That sucked. We can all agree on that. I want to hear from Francis Ngannou. What happened? Pretty clear Derrick Lewis' back hurt, but what happened to Ngannou. That division is better with scary Ngannou. I hope he's not gone. Seriously two of the worst fights in UFC history this weekend between Gunther-Zuniga and Ngannou-Lewis. Outstanding. Derrick Lewis won that fight by doing *some* things, as opposed to Francis Ngannou, who did no things.